Posted August 11th, 2015 by stu & filed under Blog. 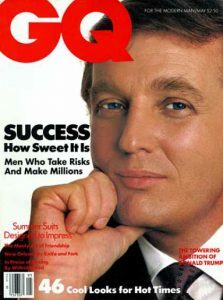 Before he was a presidential candidate, hosted “The Apprentice” on TV, or became known as “The Donald,” Donald Trump was a sometimes spectacularly successful New York-based businessman who spoke at an event I attended in the city. Back then, he wasn’t nearly the bombastic — a word that seems like it could have been invented especially for him — figure you see today. He was loud and opinionated, no doubt, but he kept his remarks focused on business, a place he had legit street cred. Trump spoke in general terms about success and the mindset he believed was required to achieve it. His messaging ranged from the motivational . . .
Stay focused, and don’t lose your momentum. Think big. Do the big job. Create your own luck by working harder than the competition. To be a winner, you have to think like a winner. See yourself as victorious. to the practical . . .
Go with your gut, as long as there’s some real intelligence behind the decision. Enjoy your work. Never quit. and didn’t shy away from confrontation . . .
A little paranoia, if it means watching your back, isn’t a bad thing. 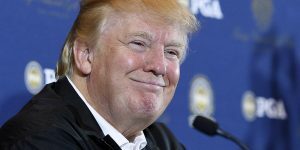 Trump was then, as he is now, a larger-than-life character who can bring the bitter with the better. Either way, he can teach us things, on both the positive and negative side of the ledger.